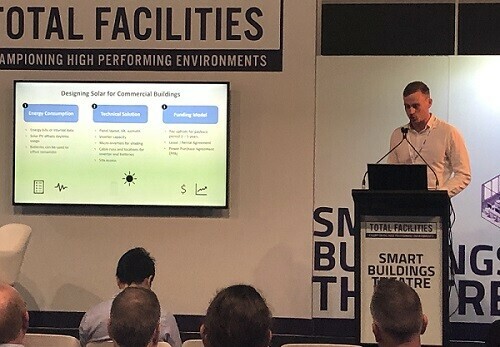 Solar Choice have been regular visitors and exhibitors at a number of renewable energy conferences such as Smart Energy and Australian Energy Storage , however last week we tried our hands at something new. The conference, held annually between Sydney and Melbourne, is touted as “the nations single most important business event for Facilities Management and like-minded professionals with the common goal of optimising facility and workplace performance”. New in 2019 was also a specific section called the “Energy Efficiency Hub” and this is where Solar Choice were invited to exhibit. 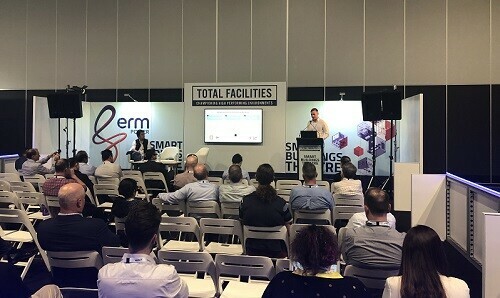 Facilities managers are realising the potential of solar PV to tackle growing energy costs and enable greater independence from the volatile energy market. 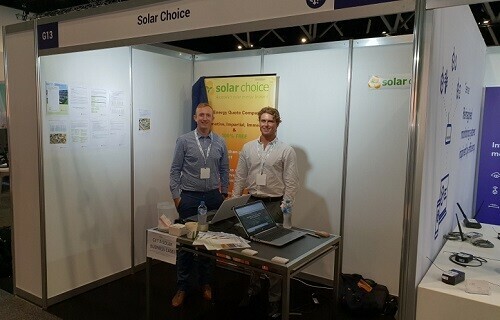 On Wednesday morning the Solar Choice team packed up our laptops, filled our pockets with business cards and armed with our exhibitor materials we set off for the International Convention Centre. Over the 2 days we had some fantastic conversations with a multitude of different people interested in managing their energy costs and learn about innovative clean energy solutions. We look forward to the opportunity to help a number of new businesses realise the potential of solar. If you weren’t able to reach us at the conference – feel free to reach out. During the presentation Jeff Sykes, Chief Strategist at Solar Choice, gave a presentation providing information on what it takes to design solar for a commercial building as well as uncovering some of the common traps observed in commercial projects. Solar Choice thanks Total Facilities for the opportunity! Next post: Is home solar power still worth it in Australia in 2019?